How do I handle a lead? Won or Lost: Choose one of these when you've handled the lead and want to close it. This helps you keep tabs on how well your campaigns are doing! 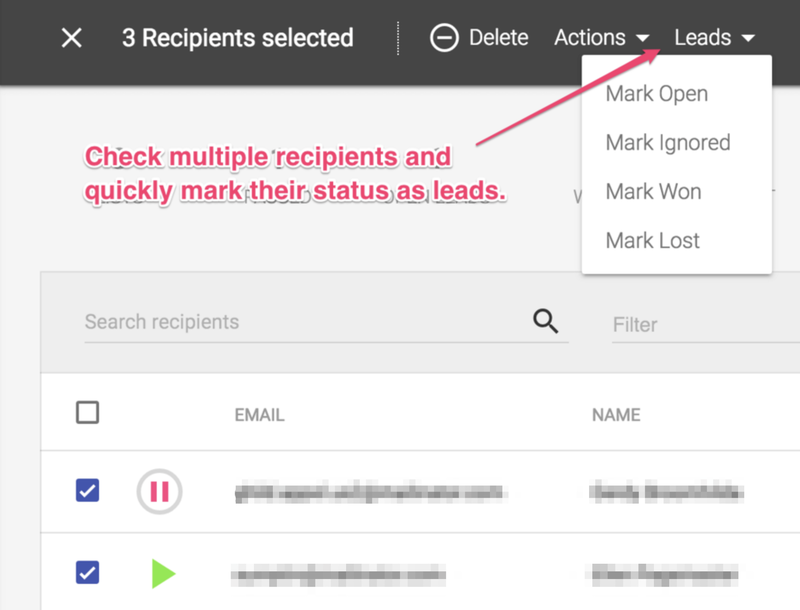 You can now multi-select recipients and mark them all as leads with two clicks. A lead can be assigned to you, one of your teammates, or "Unassigned" meaning anyone can take it. 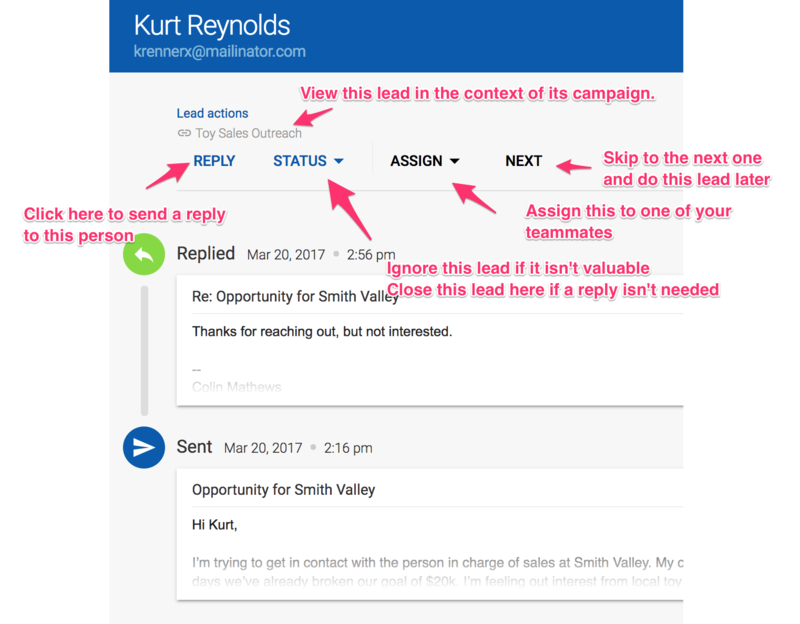 How do I reply to a lead?